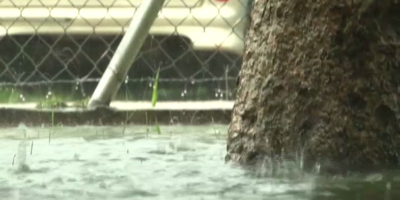 “At the moment, we just one to put it out there to the public to prepare for another tropical cyclone. Last night around 1 am Met office in Nadi named the Tropical Depression 13F, the Tropical Cyclone Keni, a category 1 cyclone. The location right now is about 650 km West of Fiji and it’s very slow moving around the sea area between Vanuatu and Fiji. The winds close to the center is around 35 knots, slow moving and slowly intensifying and the current forecast we expected cyclone Keni will move East Southeast direction towards our area. We expect the cyclone to be a category 2 cyclone by the time it’s close Tonga’s waters. 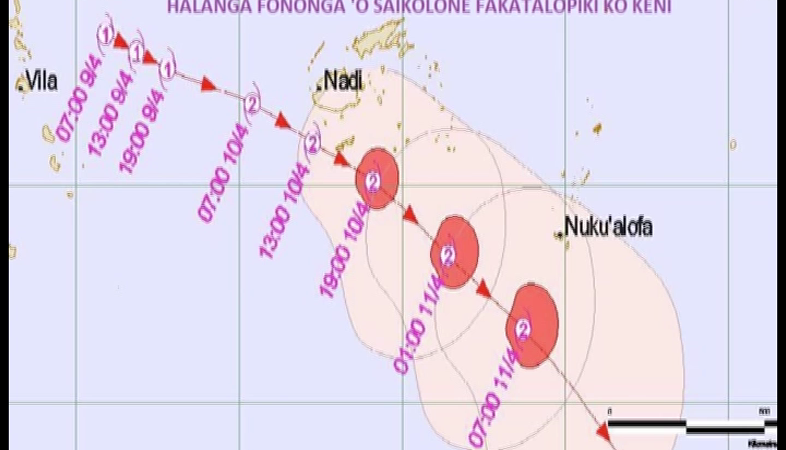 The islands that are likely to be affected from the cyclone are Tongatapu and ‘Eua and probably Ha’apai as for strong winds. We will activate the Tropical Cyclone warning centre sometime this afternoon when we will receive more information on the cyclone. The information that we can give out now, Tropical Cyclone Keni category 1 about 1500 km Northwest of Nuku’alofa and its moving towards our location to be in our area around Wednesday or Thursday this week. 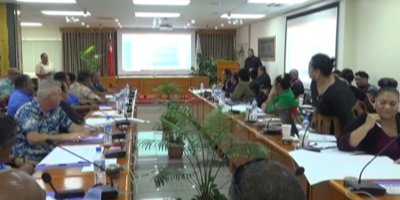 Fa’anunu emphasizes the importance for the public to be prepared for the cyclone and ensure to get the latest weather update.